Dickie Thon is a third-generation baseball player. He is the grandson of Freddie Thon Sr., a native Puerto Rican who played and managed in the Puerto Rican Baseball League during World War II. His father Freddie Thon Jr., who signed a major-league contract but injured his arm before reporting to training, played semi-pro baseball while finishing college at Notre Dame, and coached all of his sons throughout their Little League and teenage years. 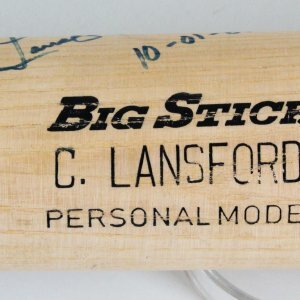 Dickie’s brother Frankie Thon is also affiliated with major league baseball in both the U.S. and Puerto Rico having been a player, a manager and a current major-league scout, as well as the general manager of the Criollos de Caguas in the Puerto Rican League. Presented is a vintage Caguas Central game jersey that was autographed on the front by Dickie Thon. Presumably, Thon wore this pinstriped jersey as well because he was #10. The collar tagging shows it is a Rawlings [size] 42 and the front tail also has a Rawlings tag sewn-on. 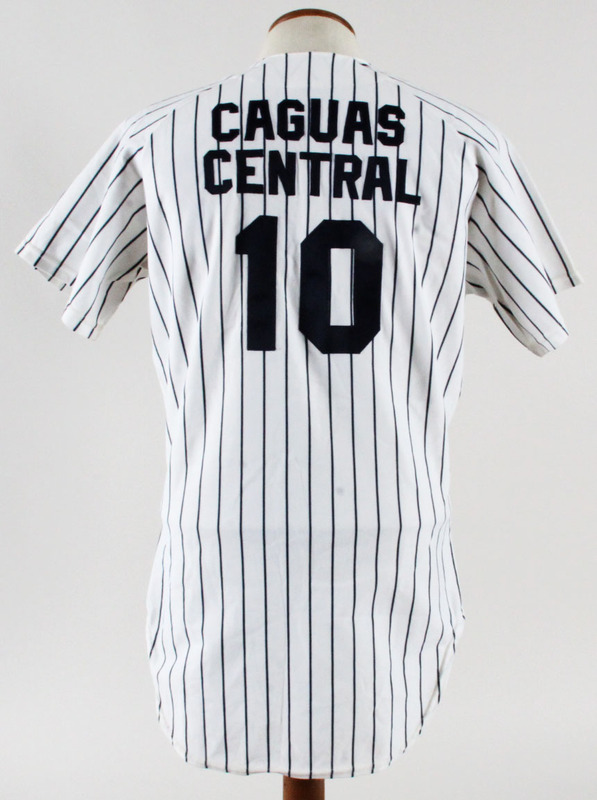 The front has a navy blue team A logo and the back features Caguas Central as well as “10” in blue as well. The jersey shows wear throughout and is an excellent example of Puerto Rican baseball history.